Road safety starts with good vision. It is the most important sense to take decisions on the road. And 80% of all visual impairments can be prevented or cured. But public awareness is low and access to quality eyeglasses remains limited in many regions of the world. According to the WHO, every year 1.25 million people are killed in road accidents and 50 million more are left seriously injured. With the number of vehicles set to double by 2040, these figures can only be expected to rise if no action is taken. That’s why on September 2nd, Essilor announced a three year partnership with the Fédération Internationale de l’Automobile(FIA) joining the “Action for Road Safety” campaign. 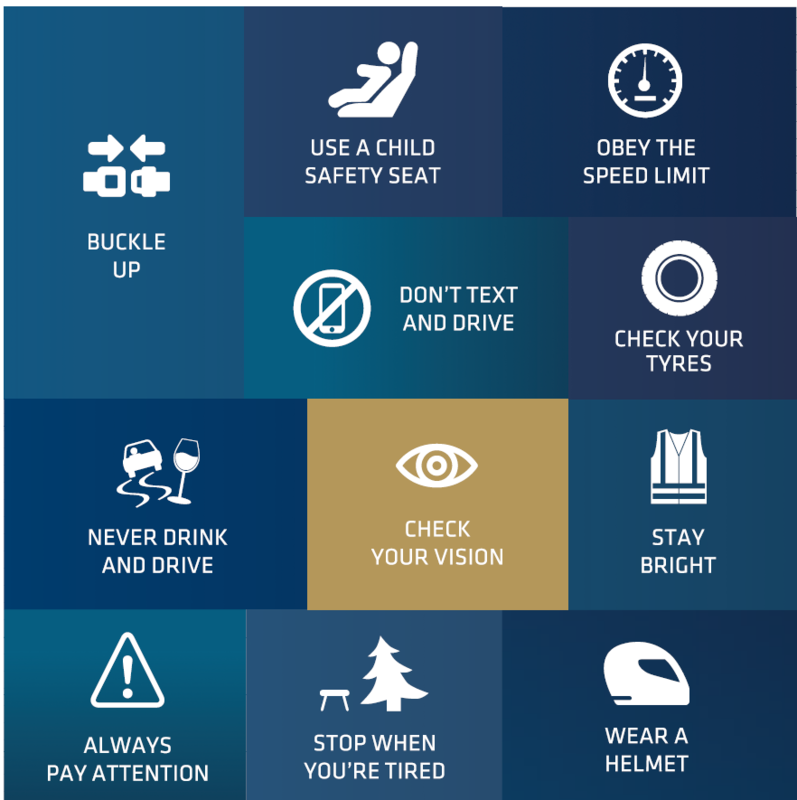 Together, Essilor and the FIA want to promote good vision as a key pillar of road safety through wide awareness reaching campaigns, starting with the promotion of the new Golden Rule; “Check your vision”. On May, 8th, during the 4th United Nations Road Safety week, FIA adopted a new Golden Rule, “Check your vision” to its existing Golden Rules for road safety (e.g. “Never drink and drive”, “Buckle up”, “Obey the speed limit”, etc.). With its 245 member clubs, representing over 80 million road users in 144 countries worldwide and their strong showcase in motor sport (i.e. : F1, WEC, WTCC, WRC, World RX, ERC, Formula E, etc. ), the FIA is a major global voice in the automotive world and is strongly committed to raising awareness and taking action on this global issue. In 2015, Mr. Jean Todt, President of the FIA, was appointed UN Secretary General’s Special Envoy for Road Safety in order to coordinate global action with key influencers. The purpose of the 3-year partnership between Essilor and the FIA is to fight the lack of awareness on this global health issue and highlight the importance of regular eye check for safe driving. It aims at promoting the call to action “Check your vision – Benefit from the best vision whether you are a driver or a road user” towards local authorities, institutions, NGOs, eye care & medical professionals, and driving schools. Together they hope to ensure safe mobility for all across the world by improving people’s sight. Essilor will endorse road safety by providing messages, data and analysis to support FIA’s communications on the crucial role of vision in the fight against road death. It will also work towards developing its product range serving drivers’ specific needs and continue to innovate to correct and protect the vision of road users (for example pedestrians and cyclists). Improving lives by improving sight.